Ponds, lakes, slow-moving rivers, streams, shallow wetlands. Sources: 6, 11, 12, 14, 29, 72, 73. The only known current populations in the state are in Hennepin and Winona Counties. The map at left shows current populations (dark green) and historical records (light green). 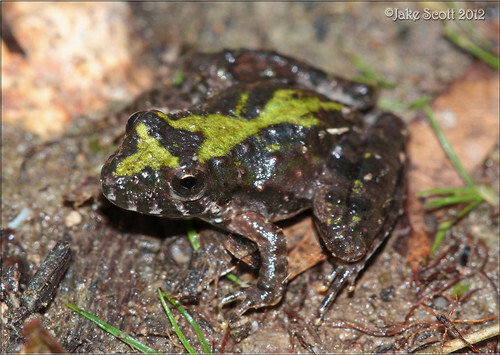 Until recently, this frog was considered a subspecies of northern cricket frog (Acris crepitans). DNA analysis conducted in 2008 suggests that it is a distinct species. Be the first to upload a photo of this amphibian. 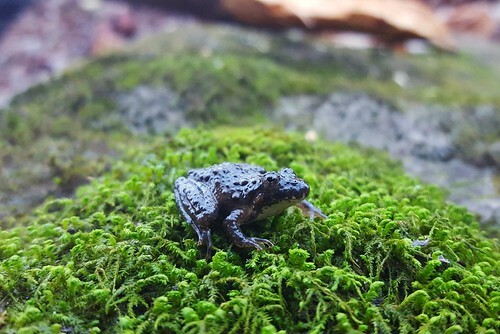 Share your video of this amphibian. Blanchard's Cricket Frog calling from along Nueces River bottom in La Salle County, Texas. A bioluminescent Click Beetle flies over to the frog for size reference. A small Blanchard's Cricket Frog on the forest floor. Both are the same cricket frog, in different positions. The little guy just didn't want to stay put in any one place. Found him in NW Arkansas near a creek lined with forest on both sides, a perfect habitat for tree frogs. Report a sighting of this amphibian.